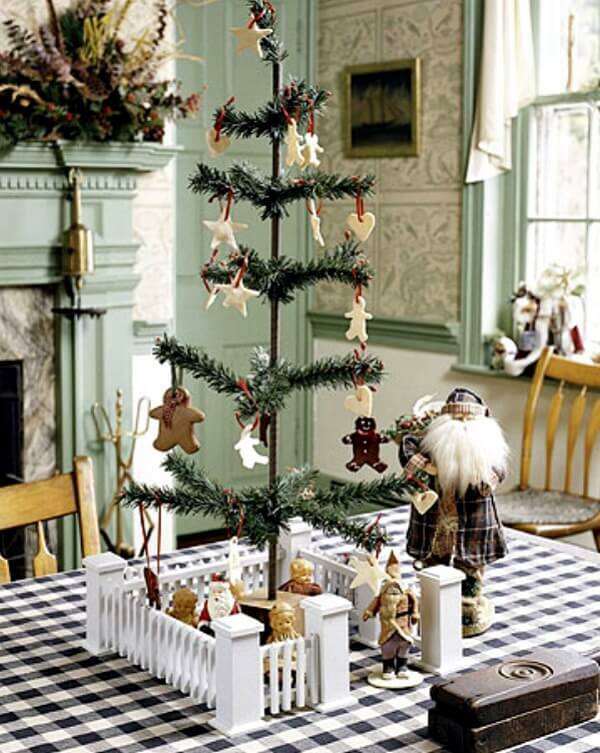 For small home residents, a tabletop Christmas tree is often the best option when it comes to holiday decorating. 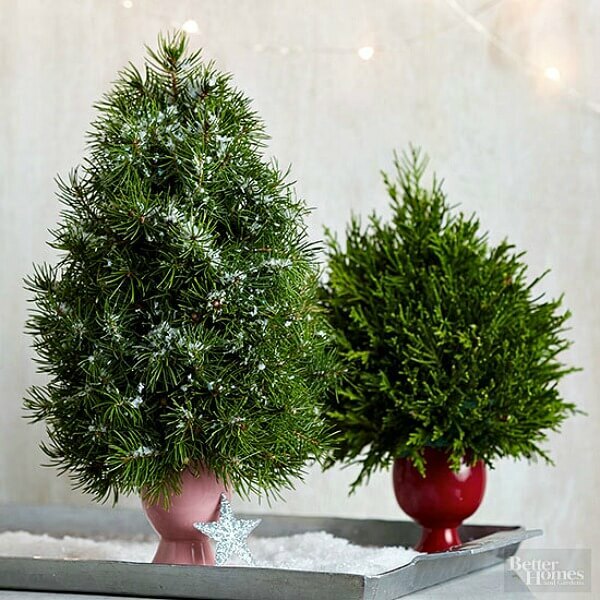 Here are a few favorite tabletop trees I found online. 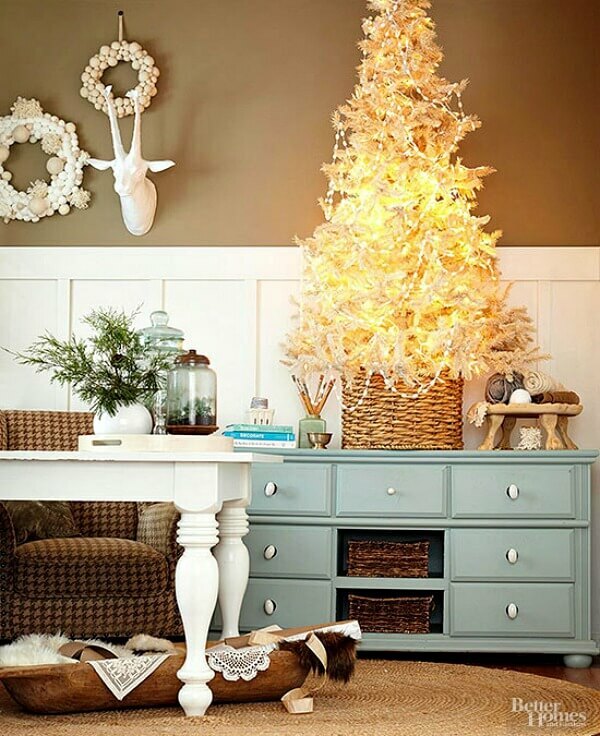 I love this homespun-style tree. A Norfolk Island pine tree. 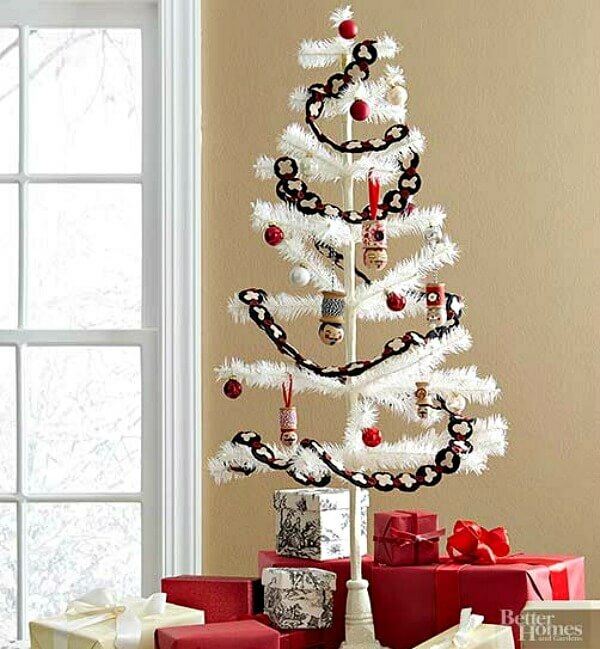 A red, white and black-themed tree. LOVE ALL THE POSSIBILITIES. 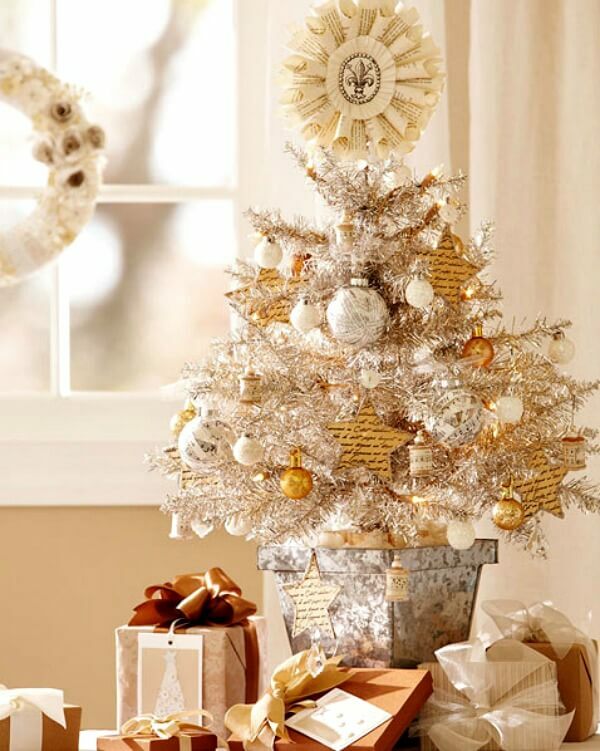 I PREFER SILVER OVER GOLD ORNAMENTS. I USE ONLY WHITE LIGHTS, SHOWS OFF DECORATIONS BETTER. I HAVE CROCHETED SNOWFLAKES, AND SANTAS ON BIG TREE. GINGERBREAD MEN, CRANBERRY AND POPCORN GARLANDS ON KITCHEN TREE. 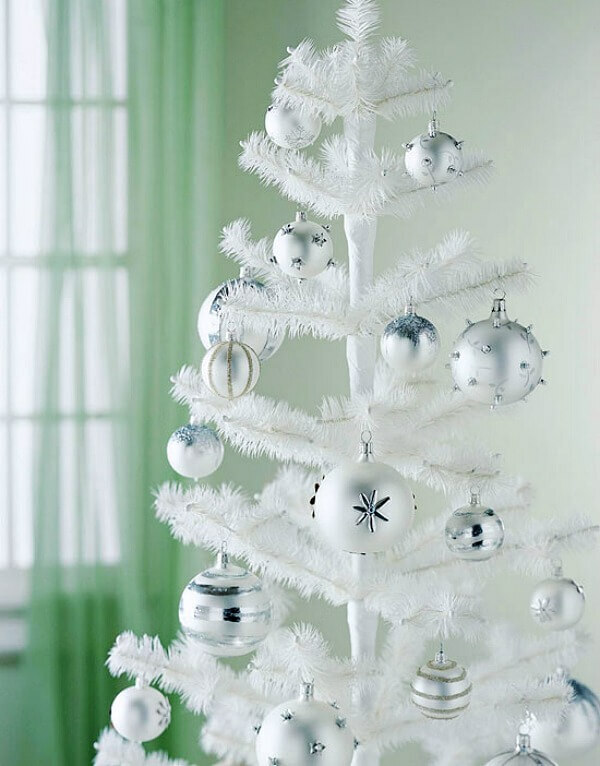 JUST BOUGHT A 4 FT TALL HALF TREE TO HANG ON WALL, NOT SURE HOW I'LL DECORATE IT YET. I love my small table top trees! I have a green 4ft in living room, white 4ft in bedroom and two 2 ft trees elsewhere! 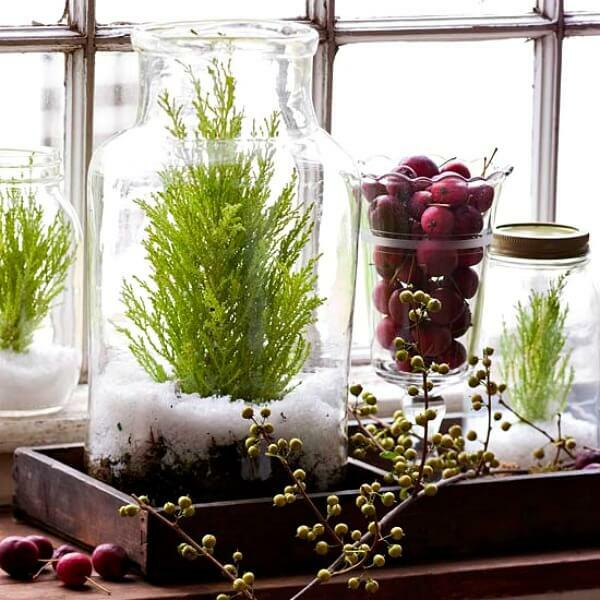 Love these ideas for small trees. It really doesn't take a huge tree to make a house look festive. We downsized our tree this year and I love it just as much as the full size tree. 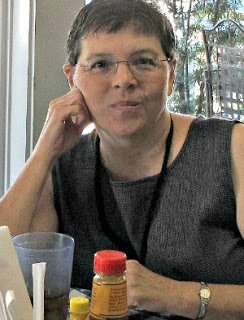 Merry Christmas, Brenda! 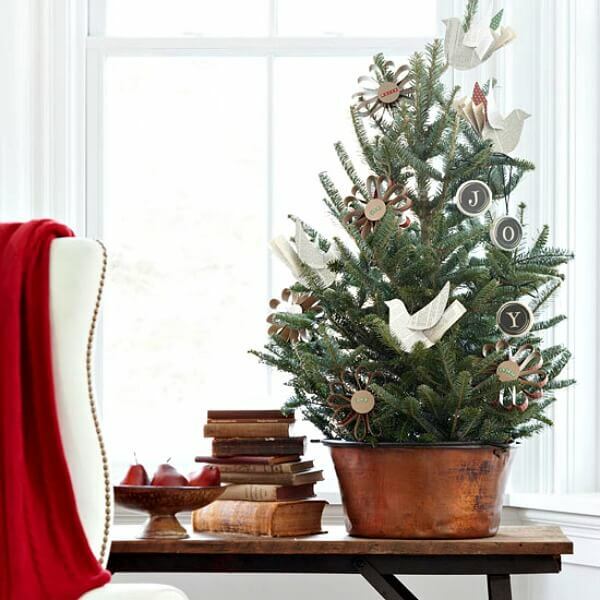 We have a table top tree but it's larger than these…4 ft, I think. It surely is easier to put up, take down and store than our 7 ft. Mr. Sweet always put our tree up and I decorated it…since he is gone now, I was afraid I would have trouble putting up the tree….no problem with this small one. I am finding out I can do for myself more things than I thought. 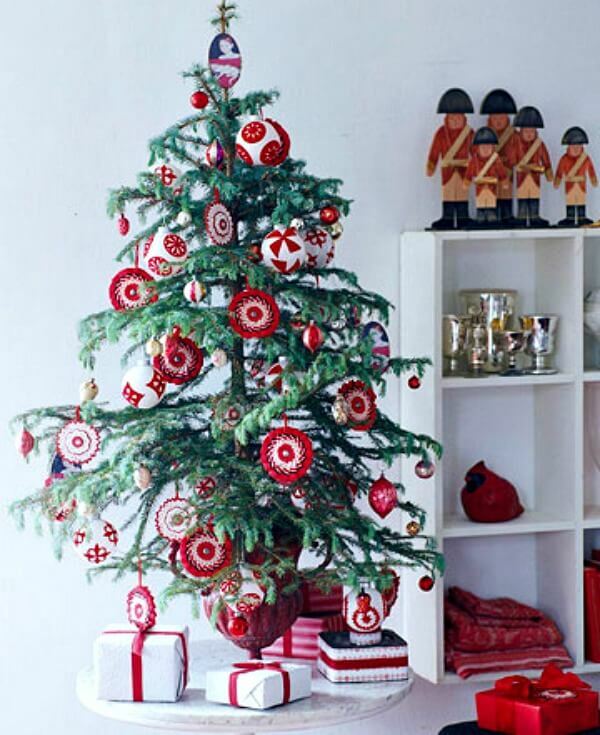 I love all of these trees but the photo of the Norfolk pine is delightful. 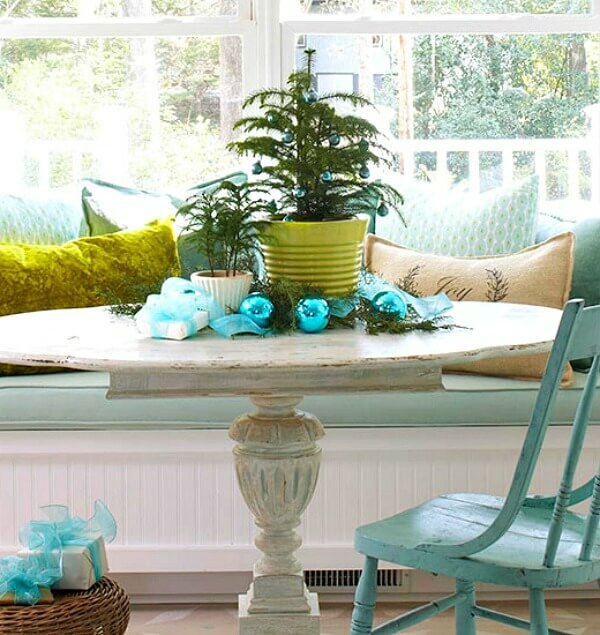 It's not the tree so much as the room and the fresh aqua, lime and white color scheme. I really want to sit at that table and look out the window. I have a three-foot artificial green tree, but I didn't put it up this year. I just got out three tiny trees with buttons for ornaments and a foot-tall stuffed tree covered in a Christmas print made by my late mother-in-law. I decided to enjoy these small trees that usually are in the background and aren't noticed much.